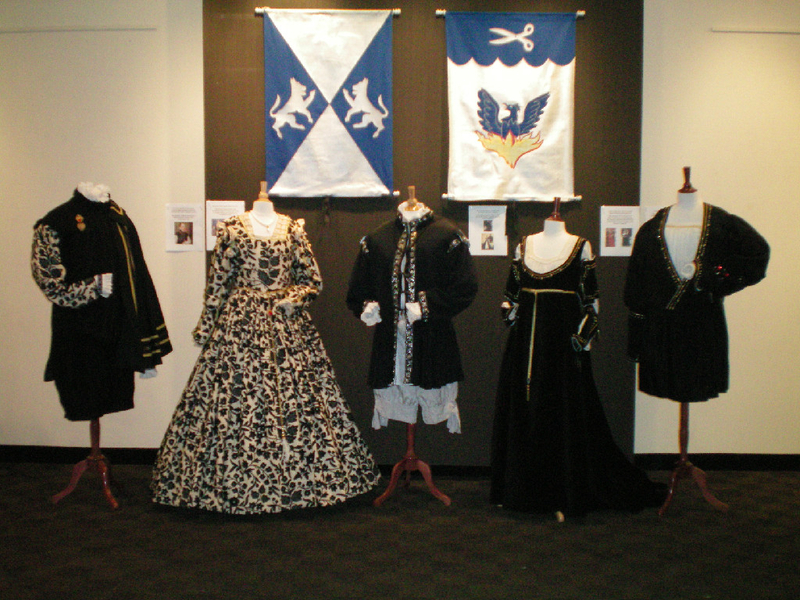 I have been creating historical clothing since the eighth grade, or in other words, for a really*loooong* time. 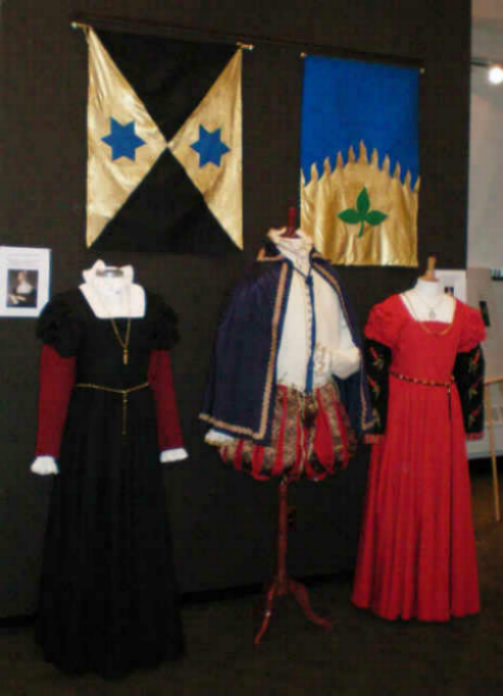 Since I construct these garments as well as wear them at events of the Society for Creative Anachronism (SCA), I am helped immeasurably to get the clothing facts correct in my Historical Fiction and Historical Romance. Though I write fiction, I really prefer it be "fact-ion," that is, writing about historical incidents and items described in a story should be based on fact. I confess to taking shortcuts in my sewing: doing the long seams (for example: the skirt seams) by machine because I am not a full-time dressmaker and/or employ a staff of servants to care for our ancestral castle. 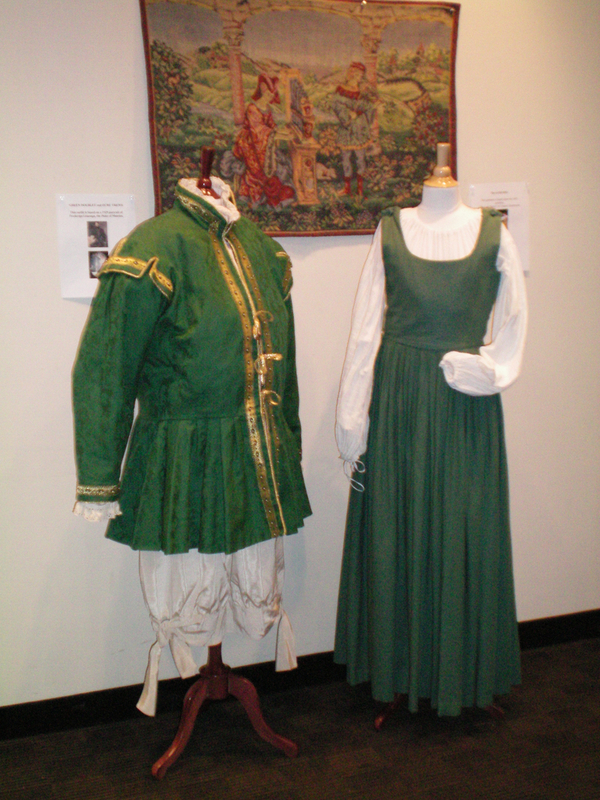 I also believe in making the wearer as comfortable as possible within the "look" and proper fit of a period garment. (I promised my husband to never again sew 3mm. pearls on the *seat* of his pants). 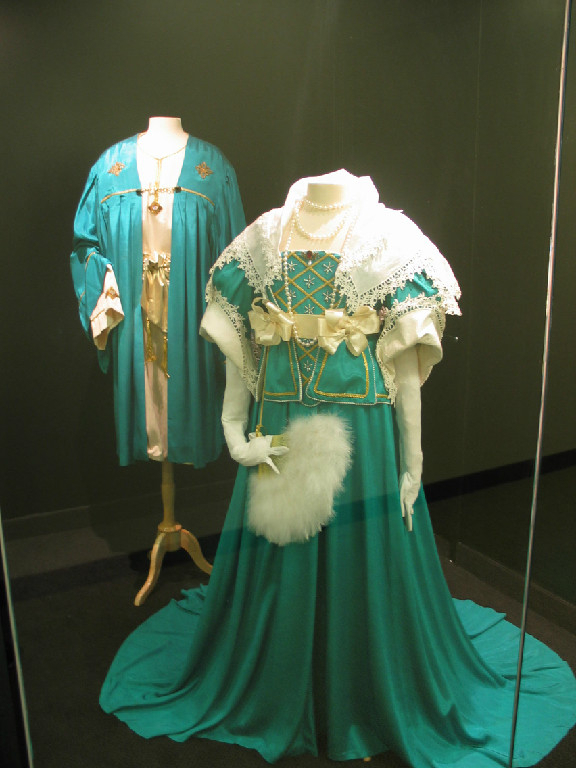 However, all of the garments I create are done with a great deal of hand finishing and embellishment. No hot glue guns for me! No sirree Bob! So, when I state that each bead is sewn on individually, and every aglet is crimped by yours truly, I can assure you I have the sore fingers to prove it. 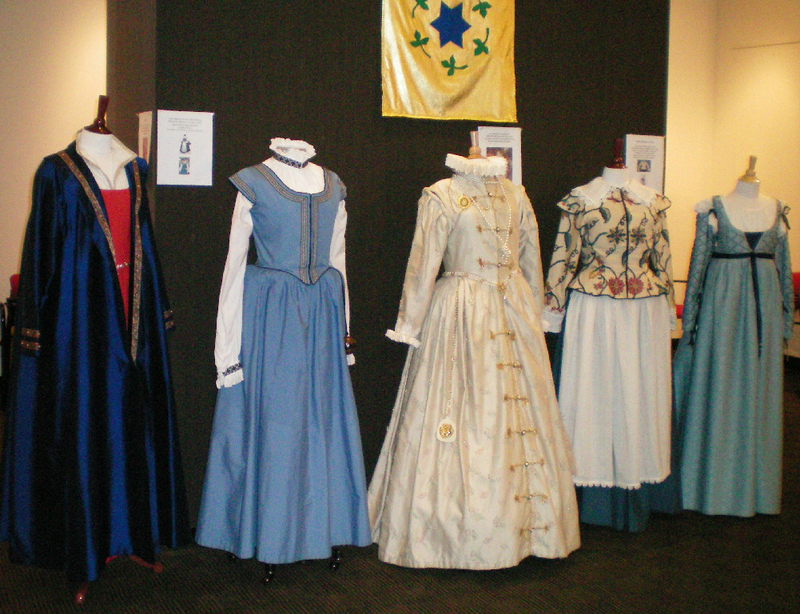 Because readers want authentic detail in books, wearing historic clothing gives me an ability to tell my readers exactly what they need to know about the clothing of the period? How can you really explain how it feels to maneuver under all that fabric, or how each layer feels against your skin or the weight of the garment as you put it on, or how a corset constricts the body if you never wear the stuff? Please scroll down and click on the pictures to see the enlarged photos of some of my favorite pieces, which were displayed in the gallery areas of the Art Institute of New York City.